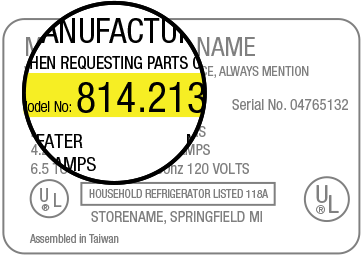 What if I don't know my model number? Number plates can appear in a number of different places, depending on what type of product your model is. Model number not found. Please try again. What series is your model? We found more than one model that matches your search. Select the series that matches your model number. 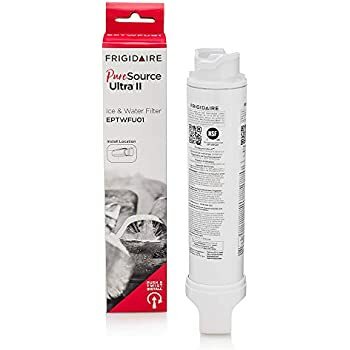 Amazon's Choice for "frigidaire water filter"
Imitation filters may display a lower price and claim to be compatible with Frigidaire refrigerators, but only Frigidaire genuine filters are guaranteed by Frigidaire to deliver quality water filtration at Frigidaire’s specifications. 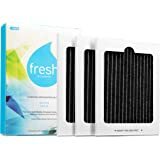 Sold by Complete Filtration Services Inc. and ships from Amazon Fulfillment. 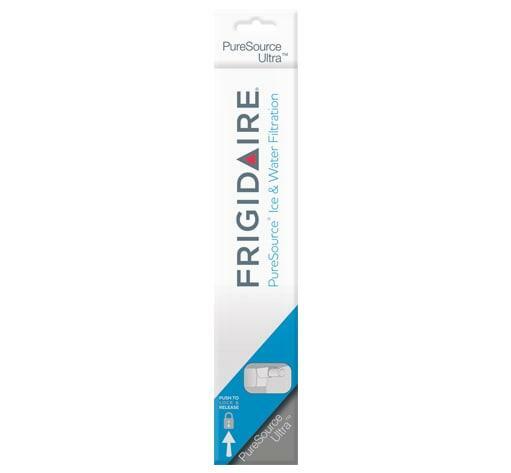 Frigidaire PureSource Ultra is a push-push filter designed for use on all French-Door model refrigerators. 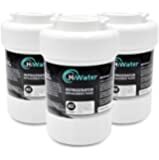 Designed to eliminate odors and unpleasant smells and provide up to six months of crystal, clean water by removing 99% of microbiological agents. Certified to meet NSF/ANSI Standards 42 and 53. Frigidaire ULTRAWF Pure Source Ultra Refrigerator Water Filters. 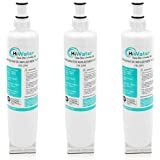 1.0 out of 5 starsBAD WATER FILTER_CLOUDY WATER! i dont understand. 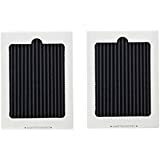 I have been buying these oem filters for years now. I never purchased directly from AMAZON but this time automatically ordered through the dash button the purchase automatically went to AMAZON and not the vendors I use to purchase from. Also weird is that there are no other vendors that sell the OEM when I do a search now on Amazon. You can only find aftermarket ones through other vendors. The water is cloudy and chalky and its definitely not from air bubbles. There is a residue and chalk in the cup and this is after a few days and even putting it through a britta filter still cloudy. The water is CRYSTAL CLEAR when we put a bypass filter. Did they change manufacturers? Are these fake? I have NEVER had any issues in the past until now. I returned the first one and received the second one two days later and same results CLOUDY water. If my memory serves me right the old packaging was purple so these may be new manufacturers or new manufacturing and water that comes out does not taste good nor does it look safe to drink. 1.0 out of 5 starsTampered with. Sold as new. Normally, these filters work fine but I got TWO bad ones in the same order. When I inserted them and went through the purge routine, there were black bits of something that showed up in the initial water stream. 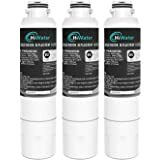 I ran the normal 10-15 pitchers of water to get rid of that "baking soda" aftertaste that is present with new filters. Even after the taste was OK, the water remained cloudy - Really unappealing. The photo shows tap water on the left and the "filtered" water on the right. Ugh! 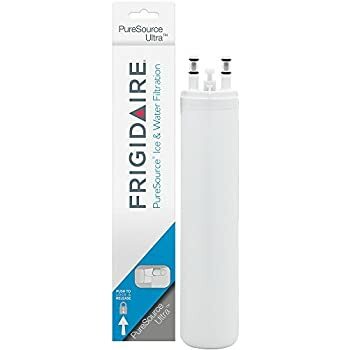 Inserted the filter into my 6 months old Frigidaire, ran water through for 3 minutes as instructed, and waited for the cloudy, gray water to clear up. Still gray and cloudy. ran it for 3 more minutes...still gray and cloudy. Tasted the water and noticed a slight sour aftertaste. 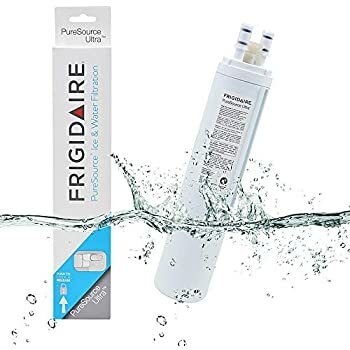 I put my original filter (came with the new Frigidaire 6 months earlier) and the water came out clear and no aftertaste. I don't trust that this supposedly new filter came from Frigidaire or was new! It wasn't sealed and was loose in the flimsy box. It is in the mail back to Amazon. 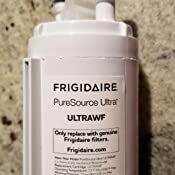 I'm calling Fridgidaire direct. 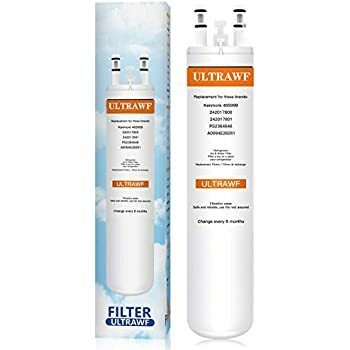 I ordered and installed this filter in October 2016. Everything seemed fine upon arrival and installation. Now it is Jan 6, 2017. My water has been starting to taste metallic, almost like a rust flavor in my water. I dumped all the ice thinking it was maybe freezer burnt ice. Still nasty tasting water. 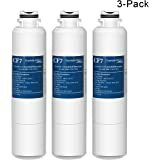 So I put in a new water filter, even though it hasn't been 6 months and my fridge was not telling me to change the filter yet. Presto! Good water again. So...this filter did not last for 6 mo. 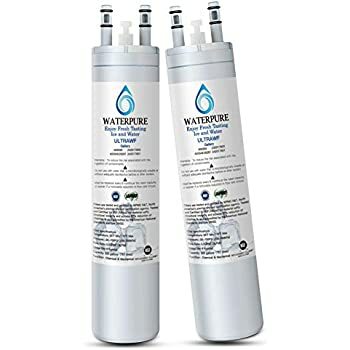 (with average water use) as it is suppose to as recommended by the manufacture. I will be requesting a refund for my other 4 months of use I did not get from this filter. 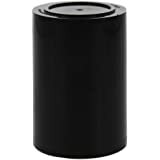 These things are to expensive to get barely half the use of them. 1.0 out of 5 starsCloudy water! 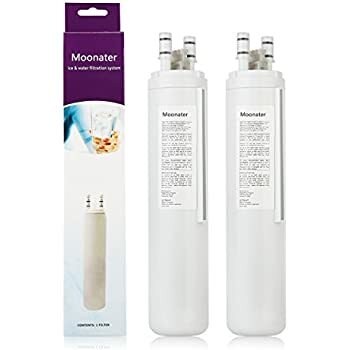 My water was fine until I installed this filter. I have flushed gallons and gallons of water through it and the water is still cloudy. Not the full of air kind of cloudy that clears up if you let it sit, but dirty cloudy. 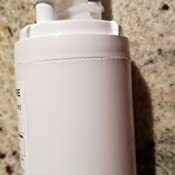 Paid top dollar for the name brand filter and it does not work. 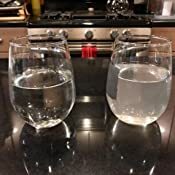 Note - if I let it sit to try to clear the water, it does not get clear, but there is a film of a chalky white substance left in the bottom of the glass or container. 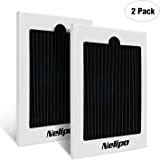 By the time I installed it, it was too late to return, but this filter was faulty. Money down the drain. 1.0 out of 5 starsBeware, Extremely low flow and milky/cloudy water. Knockoff or defective? Have now bought 2 of these thru Amazon and both were absolutely horrible. 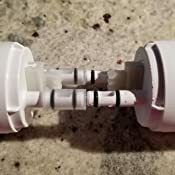 First one was bad and could barely get any water to flow, ice cubes were woefully small due to this lack of water and what did come out, even after flushing well over a gallon thru it, was milky/cloudy with a slight smell. 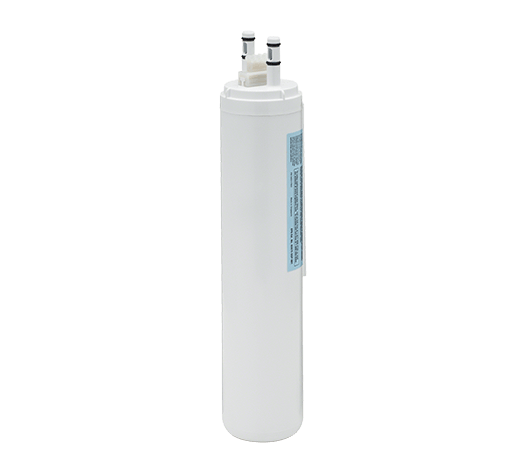 Have a whole home water filter and water everywhere else in the house is just fine so know it's not anything to do with the source water to the refrigerator. Before calling Frigidaire or repair thinking there might be something wrong with the refrigerator itself, I suspected I got a defective one and bought another from Amazon. To my amazement, the second was just as bad as the first. 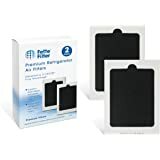 So now almost 100.00 in filters simply gone. 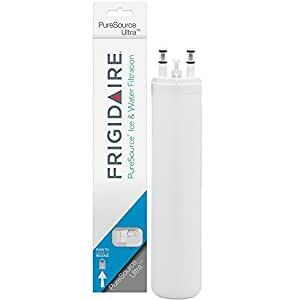 So before I called Frigidaire, I first opted to purchase a well known "non oem" filter cartridge and everything works fine so it's not the refrigerator. 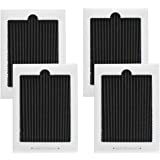 I then purchased this same filter from our local home improvement store and surprise, that one works just fine! Buyer beware! 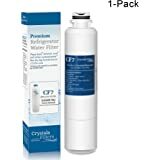 The first filter I ordered was faulty my water wouldn't run off the fridge. 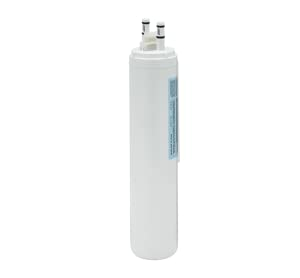 I had to call a technician out to check out my fridge and they told me its the filter. I returned it and received a new filter right away, problem solved. 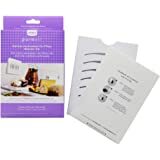 The price is great I saved lots of money ordering from here. Its works great and water tastes awesome.